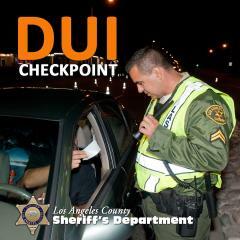 Los Angeles County Sheriff’s Department Traffic Services Detail, in conjunction with Malibu/Lost Hills Station conducted a DUI/Drivers License checkpoint on Friday, June 22, 2018, at Pacific Coast Highway and Webb Way between the hours of 7:00 p.m. and 3:00 a.m. Checkpoints are placed in locations that have the greatest opportunity for achieving drunk and drugged driving deterrence and provide the greatest safety for officers and the public. Text & Email, Register for LASD Nixle messages: To receive more detailed, up-to-date information via E-MAIL and/or TEXT directly from the Los Angeles County Sheriff’s Department (LASD), sign up for "Nixle" alerts at http://www.Nixle.com and register for "LASD - Los Angeles County Sheriff’s Dept Information Bureau (SIB)" AND your local LASD station area. Or, to receive URGENT TEXT ALERTS ONLY, text your zip code to 888777. Standard text messaging rates may apply depending on your calling plan.